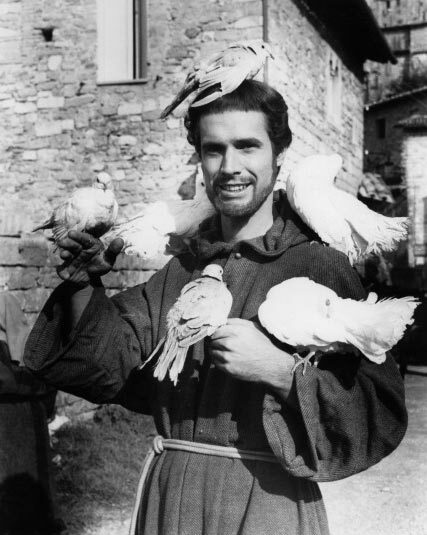 Character actor Bradford Dillman, most famous for his lead role as Francis in FRANCIS OF ASSISI (1961), passed away on January 16 at the age of 87. I'll be honest, I'm not too familiar with him. Aside from his role in FRANCIS OF ASSISI, I didn't recall seeing him in other major films. I did see him guest starring in TV series like THE LOVE BOAT. 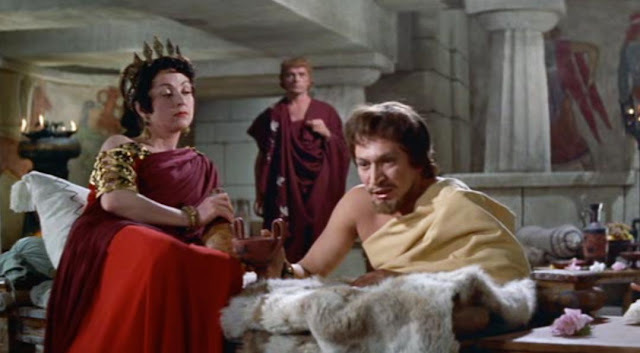 Another character actor who passed away recently, Peter Wyngarde's most memorable role in a PEPLUM film was in ALEXANDER THE GREAT (1956). I also remember him from the goofy sci-fi flick FLASH GORDON (1980). He played Klytus. Peter died on January 15 at the age of 90. Bradford Dillman's most famous role was in Compulsion not Francis of Assisi. He was under contract to Fox for many years and appeared in some of their most high profile productions during the 1960s. He was a really terrific actor whose contributions to films shouldn't be dismissed lightly. I've seen Bradford Dillman appear here and there in both movies and TV shows, so he seemed to have been a reliable actor with a steady career. Peter Wyngarde I remember mostly from Flash Gordon (a generation thing), but also from the excellent Night of the Eagle, and a very Peplum-flavored episode of The Saint, where he's sparring wits and swords against fellow Peplum star Roger Moore.